We all know too well how the hustles of a city look and feel like – congestions, traffic jams, and fully-packed parking lots; causing headaches for many car-commuters alike. Public transportations seemed like the answer, unfortunately it still have its flaws, namely in punctuality, security, safety, and overcapacity problems. Say that you want the comforts and all-weather protection of a personal car, yet with none of the size. What would you do then? 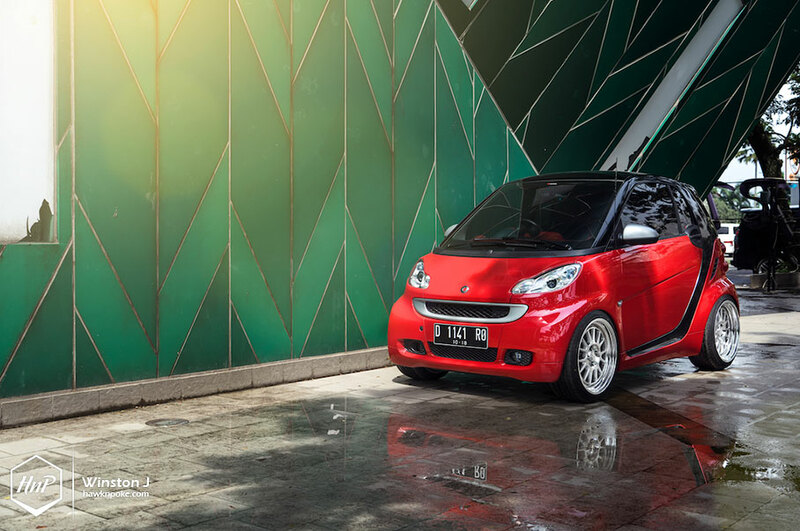 Enter the Smart. 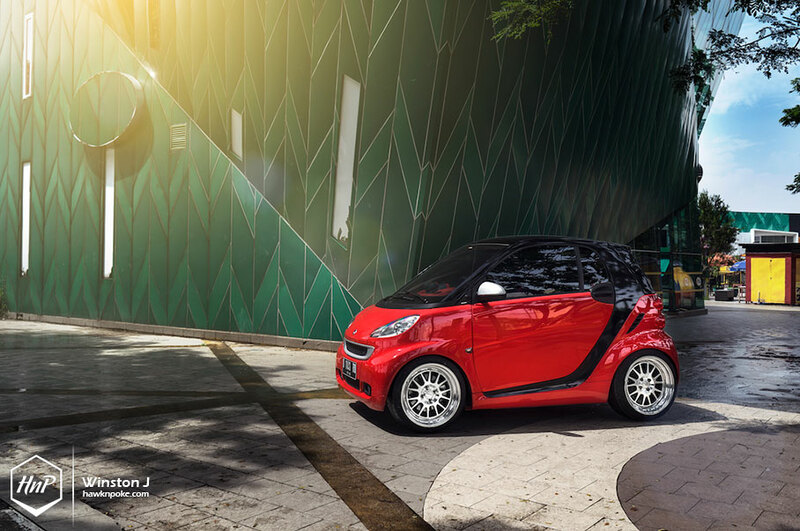 A division of Daimler AG, maker of the notorious Three Pointed Star, Smart is well-known for the Fortwo, a two-passenger city car first debuted in 1998. A fine alternative for micro cars besides the Aston Martin Cygnet and the highly criticised G-Whizz, the Fortwo is also notable for being incredibly short, measuring only half of the cars commonly found on the streets. While a standard Fortwo is already a sight to behold, it is still possible to raise the bar even further, as shown by this example. 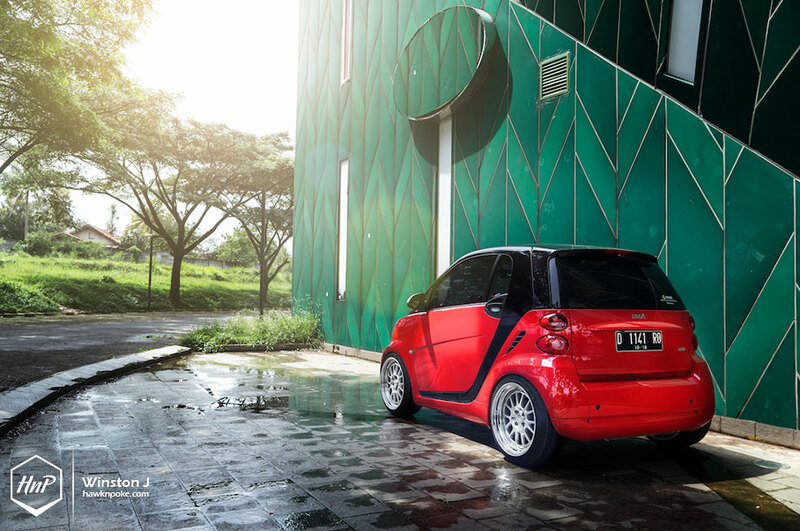 Thanks to owner’s desire to be different, we now have the first slammed Fortwo in Indonesia, made possible by customised suspension. 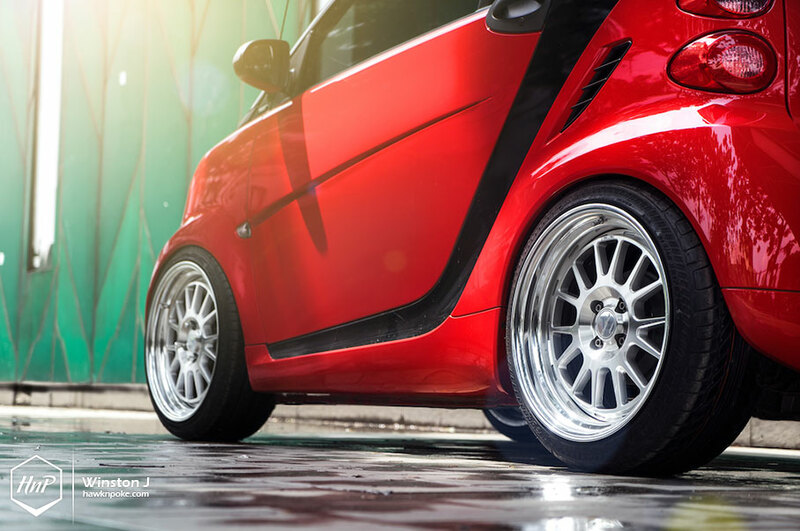 The wheel set is nothing short of outstanding too; measured at 17×8 and 9 inches, these Work Seekers are very aggressively sized for the tiny Fortwo. 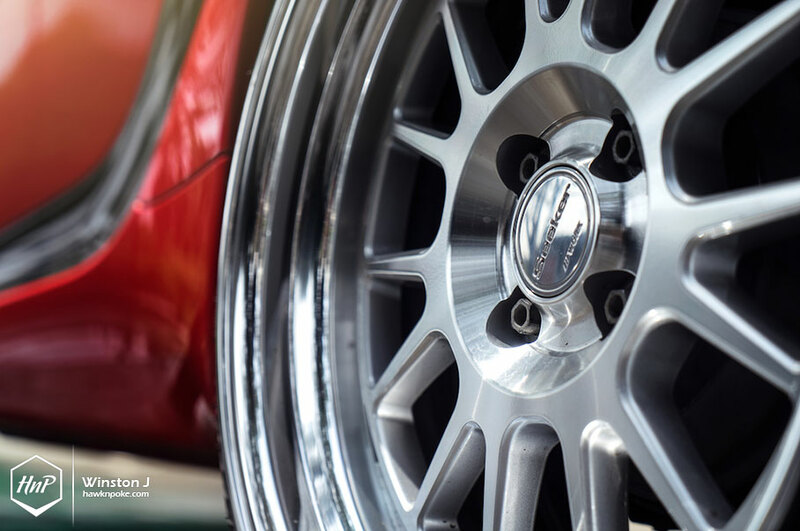 For these wheels to be mounted properly, the effort is quite a plenty; owner has to do a PCD conversion, and suspension/fender tweaks also had to be done to ensure proper fitment. The final result is nothing ‘short’ of incredible.